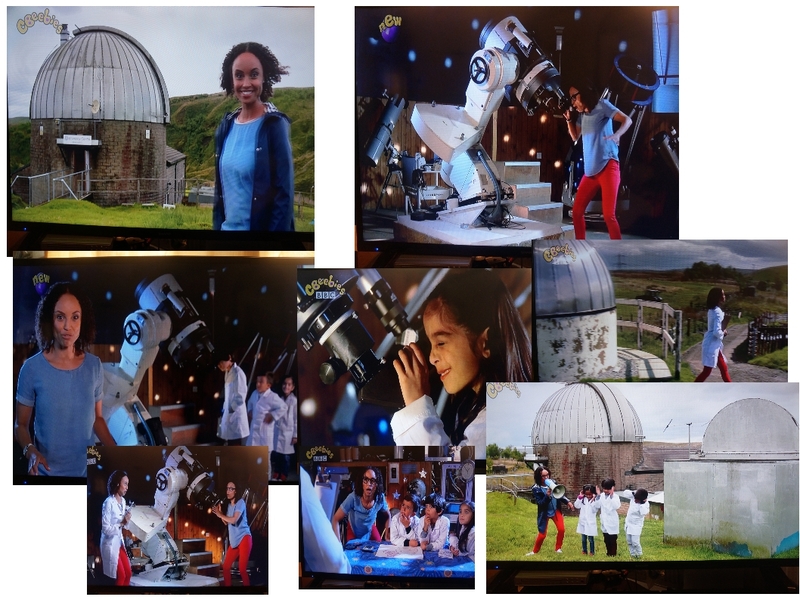 "Dedicated to the furtherance of Amateur Astronomy"
The AC does its bit for childrens TV. 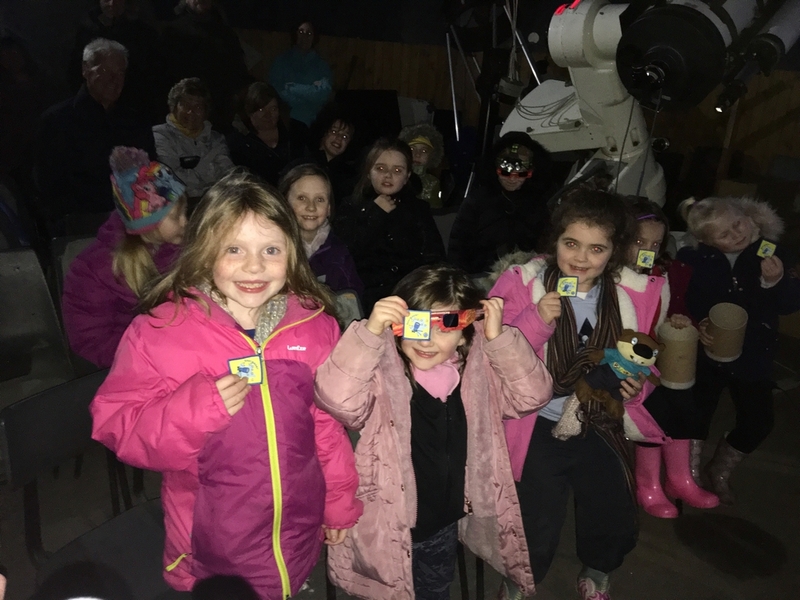 Come and join us on Saturday evening and explore the night sky using a range of telescopes. The site offers a good compromise providing a reasonably dark site, while remaining close to the major conurbations of Manchester and Leeds. 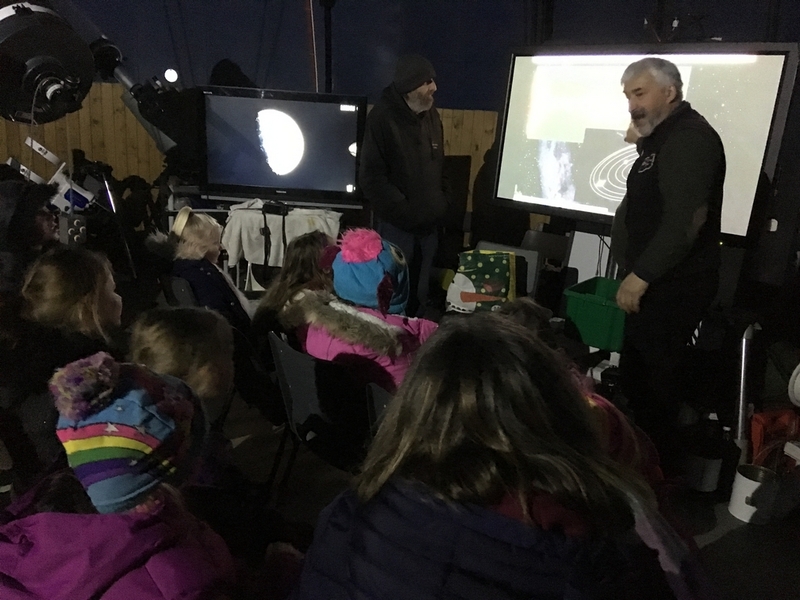 Approximately 8·1 million people (13% of the UK population) are able to reach the Astronomy Centre with less than a 60 minute drive. The Observatory is open to the public every Saturday evening from 7.30pm until late throughout the year. During the Summer months of June, July and August, we are also open afternoons from 3pm till 6pm ( except Sundays) for solar viewing and demonstration of the Camera Obscura. Visitors are advised to wrap up warmly, with sensible footwear, as the site can get very cold at any time of year and bring a torch to help find the way. There is no formal charge for visitors, but a small donation would be appreciated, as a guide could we suggest £2 per person (£1 for children and concessions), though further donations are always welcome! Group visits can also be made at other times by arrangement. Please park on the lower plateau, next to the caravans. Access for unloading of telescopes etc. and disabled parking is available at the highest point of the site, next to the main dome. Further details are on our "Where are we" Page. Individual membership of the Centre is £15 per year (29p per week) and £30 per year for a family membership (see the "contact us" page). Membership permits the use of the Centre's equipment as appropriate, unlimited technical and instructional advice, access to the members level of the website, the library and priority entrance to special events. If you live a distance away from the centre why not become a `friend of the Astronomy Centre ` for £5.00 per year. For scale, the main dome is about 8.5m (28ft) in diameter.